It was only a matter of time, but a group of experts is putting pressure on the FDA to give electronic cigarettes a second chance. An FDA-funded study conducted by researchers at the Georgetown Lombardi Comprehensive Cancer Center found that much of the current data suggests that e-cigarettes are an effective means to curb smoking. They agree that vaping poses significantly less risk and feel that heavy-handed regulation on the e-cig industry may be misguided. “We’re concerned the FDA, which has asserted its right to regulate e-cigarettes, will focus solely on the possibility that e-cigarettes and other vapor nicotine products might act as gateway to cigarette use,” Center oncology professor and lead study author David T. Levy, PhD tells Consumer Affairs. Levy and his team reviewed the body of research that already exists on electronic cigarettes and determined that vaping may eventually lead to a significant decrease in mortality rates, if smokers continue to switch. They estimate that vapers have only five percent of the risk for illness and death as their smoking counterparts, and while cigarette use has fallen over the past 50 years, much of the recent decrease has been due to electronic cigarettes. The researchers noted that smoking has declined at a much faster rate over the past two years than in the previous years before that. The rapid decline started almost exactly when vaping began hitting the mainstream. While e-cigarettes have been around for much longer than two years, it wasn’t until 2013 or 2014 that we saw a huge jump in sales and an explosion of new retail vaping establishments around the country. Levy also agrees with previous studies that show that e-cig use is primarily among current smokers or those most at risk to begin smoking. Anti-vaping advocates often argue that the increased availability of e-cigarettes is increasing nicotine use overall, but there is absolutely no evidence that this is occurring. It’s likely that some in Washington are going to see this new FDA-funded research as controversial, something that Levy realizes. At the same time, he argues that rather than taxing and regulating the vaping industry out of existence, the US Government should view vaping as a means to an end. The primary aim of tobacco control policy should be to discourage cigarette use while providing the means for smokers to more easily quit smoking, even if that means switching for some time to e-cigarettes rather than quitting all nicotine use. We agree! It’s about time that a government funded research group started to consider the long list of studies that support e-cigarette safety and their effectiveness for smoking cessation. 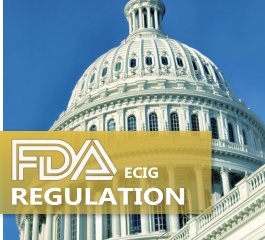 If risk reduction was the primary focus of the FDA and other government agencies, there’s no doubt that we could save millions of lives, along with the vaping industry that we all know and love.